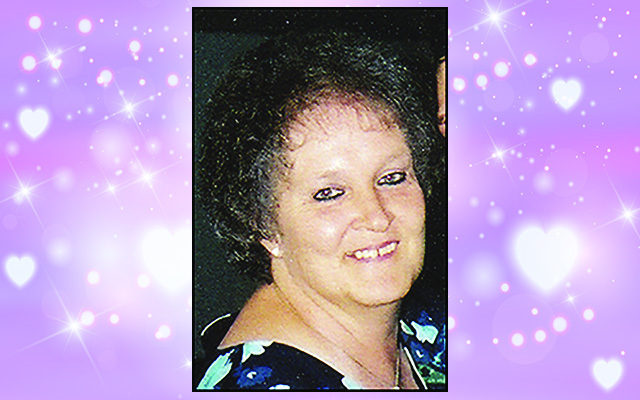 PRESQUE ISLE, Maine – Linda Donna Dillon, 70, passed away surrounded by her loving family on Friday evening, July 6, 2018, at her residence in Presque Isle. She was born on January 21, 1948, in Augusta, GA, the daughter of Jesse and Opal Key. She worked as a waitress and in retail for many years. She enjoyed watching her favorite TV shows like The Walton’s, The Golden Girls, and especially Everybody Loves Raymond, and she also loved reading. She is survived by her husband, Richard Dillon of Presque Isle; a son, William Dillon of Presque Isle; her daughters, Heidi Winsor and Heather Pelkey, both of Presque Isle; her step-sons, Ricky Dillon and Steven Dillon of Texas; a sister, Norma Jean Futch and her husband, Allen, of Florida; as well as her grandchildren, Dylan, Jessica, Randi Lynn, Brianna, Sean, Kayla, Abigale, Melony, and Anthony, and her great-grandchildren, Benjamin, Hunter, Parker, and Zoey, her niece, Christina, and nephew, Ricky. She will also be missed by her special friend, Diane Chambers. In addition to her parents, she was predeceased by all of her brothers. Friends may call at 2 p.m. on Wednesday, July 11, 2018, at Duncan-Graves Funeral Home, 30 Church Street, Presque Isle, where funeral services will be held at 3 p.m. Interment will follow the service at Fairmount Cemetery, Presque Isle. Donations may be made in her memory to C-A-N-C-E-R, PO BOX 811, Presque Isle, ME 04769. Online condolences may be shared at www.duncan-graves.com.